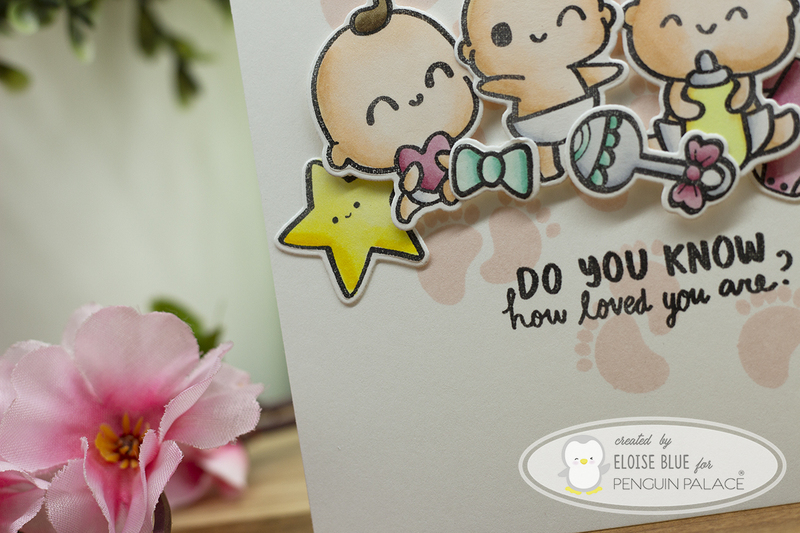 Hello friends, today I'm back on my blog for Penguin Palace using their Welcome, Little One stamp set. 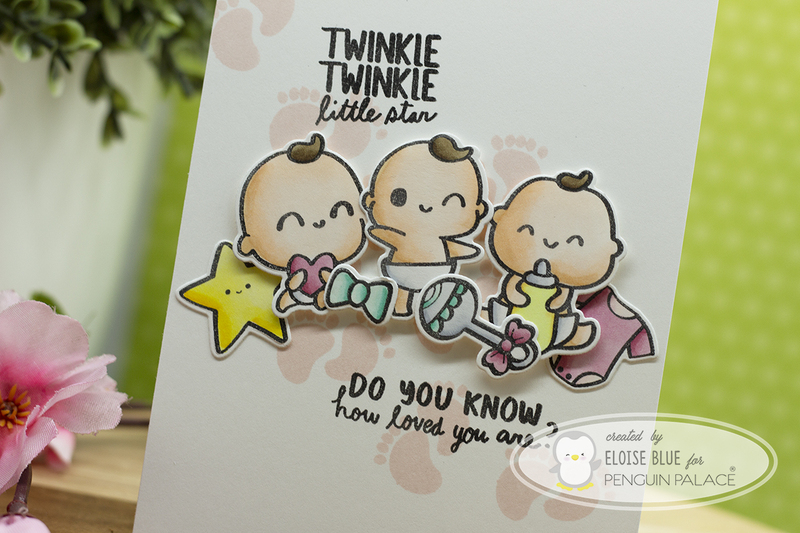 This is the perfect baby themed set with lots of adorable images and even cuter sentiments. To start off my card today I stamped out my images, coloured them with Copics and cut them out using the coordinating dies. Next I made a white card base and stamped out the feet images from the same set with pink ink at a diagonal. I then added foam tape onto the backs of my images and adhered them into place in the centre of my card. Lastly, I stamped the two sentiments above and below the cluster with black ink. Thanks for stopping by today, I hope you feel inspired and I'll see you next week.